This memoir is a love story at its core, but its mission is to help those who are coping with grief to recognize the journey and to know that there is hope. Also available as an ebook on Kobo, Barnes & Noble and Indigo. Meet the quick-witted and creative Roxanne Rogers and Alex Bruno, the man she is doggedly pursuing. Roxie is an artist with a painful romantic history, and Alex is a confirmed bachelor with a course exterior and a heart of gold. Watch how they change one another and grow together as they hike, kayak and otherwise explore the Lakes Region of New Hampshire. This memoir is based on two travel adventures Janice has had in the past two years: a trip to the Marshall Islands in early 2016 and a trip to Hawaii in 2017. 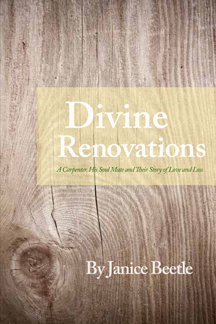 The story details what drew Janice to both places, the adventures she had, and how the journeys inspired thoughts about what home really means. Janice also writes and edits books for clients. Learn more. Yay, it’s finally ready! Can’t wait to read it. I can’t wait to buy the book! You’re amazing mom. So proud of you, Bug!!!!! congrats janice! i’m so glad you’re telling your story. I am organizing my first reading in Agawam, but I imagine there will be many! I would love it if you helped me organize one at a book store near you and got me connected. And I love Jodi Piccoult too. She’s amazing! Janice, this is wonderful. So happy for you! What a great accomplishment. Looking forward to reading it. I will, however, require a SIGNED copy. All the best! Your book is in the mail Kathy. Thanks so much! Thanks Kathy so much! I will definitely sign yours! Wow! So very impressive! You are an amazing person! Could I order a copy through you? I will definitely spread the word! Would you be interested in coming to Springfield for a book reading? Thanks Trevor! I would love to do a reading in Springfield. I would be honored to get invited to read at book groups, in churches, libraries, etc. Thanks for asking! I can’t wait to read it. You are an inspiration to all who know you. Thanks Linda. I don’t feel like an inspiration. I just feel inspired. Hey, I think that’s this month’s blog topic! Congratulations Janice! Your hard work has paid off! Wishing you all the success you deserve.